Flat News Blogger Template is a news and magazine Blogger template with many features not available with other blogger themes. This template is very easy to work without touch to code. 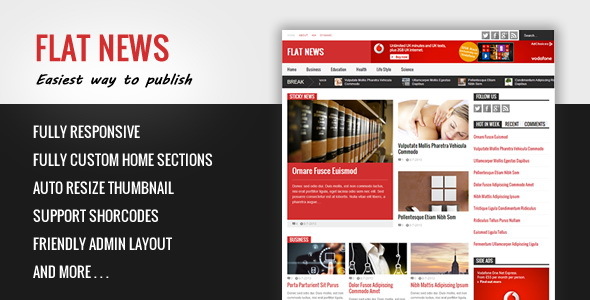 Flat News is 100% responsive and drag-drop to build your own home design. Theme installation is very easy with the documentation given with the template. Nice template in blogger engine. But could you made it to free? I was looking for news templates for a while. Seems it's a perfect one. Will apply to my news blog.